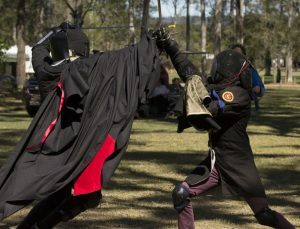 Carranza Cup (Brisbane QLD) — October . BSIS is proud to run this event. As details of these events are released each year links to many of them can be found on the Australian Historical Fencing League circuit listing. SEQ fencers have competed in the Swedish annual event called Swordfish, held since 2006. This is one of the biggest HEMA tournaments in the world and is generally considered to be the “world cup of HEMA”.